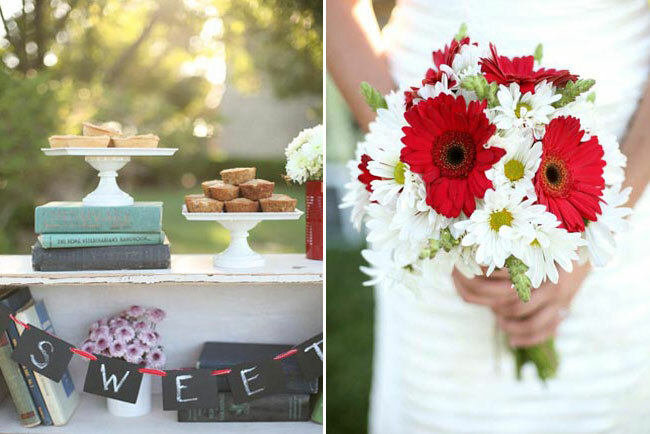 Today we’re sharing the sweetest of styled shoots, put together by New Mexico photographer Tonya Peterson. 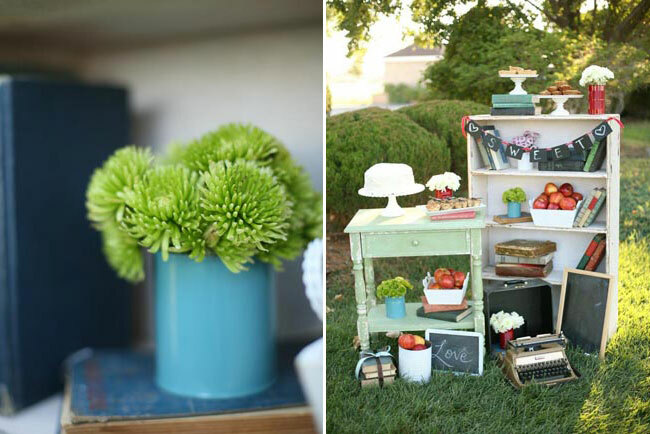 She wanted the shoot to have a fun, vintage vibe with schoolhouse touches, and created all the delightful details herself! 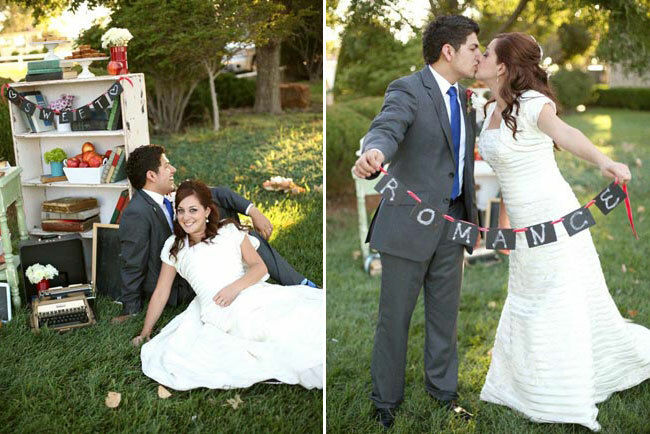 The models in the shoot are Michelle and Miguel, who just got married this summer. Tonya left no detail untouched. 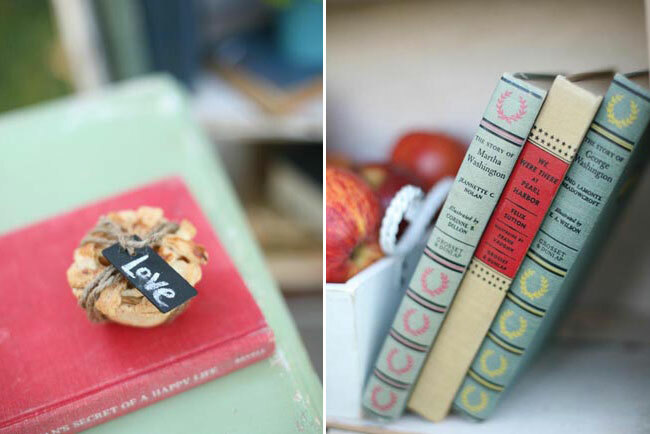 From the typewriter, to the mini pies, to the vintage books and chalkboards, everything was perfectly styled! 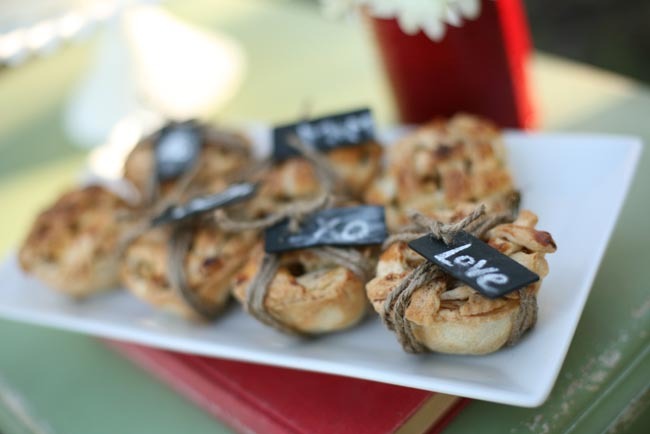 We love the mini apple pies tied with twine. 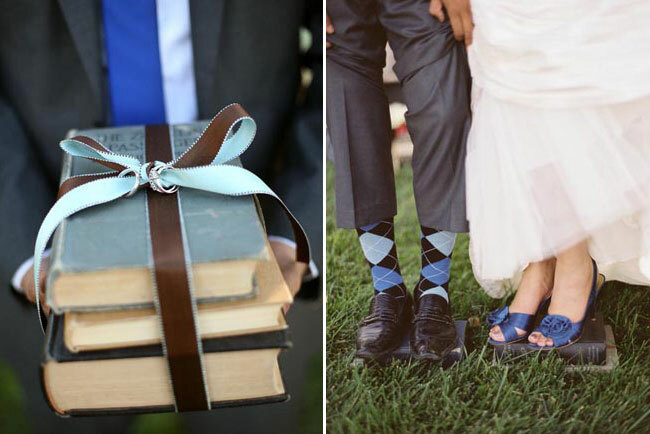 So cute, especially with the handmade chalkboard tags! 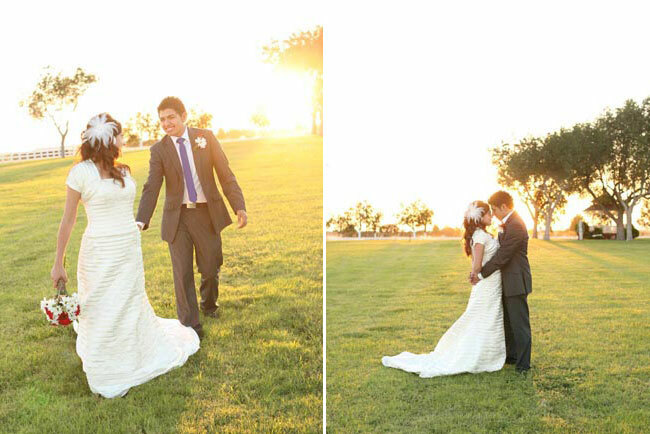 Thanks Tonya for sharing this adorable shoot with us! See more of it on her blog here. Love & Lavender, I love this post! Thank you for your sweet comment on my blog last week. I have been an admirer of your site for a while now and about died when I saw your kind words! Keep up the inspiration! love, love, the chalk touches. making sure to add it my own on my wedding day. 🙂 thanks for sharing. Such an adorable shoot! 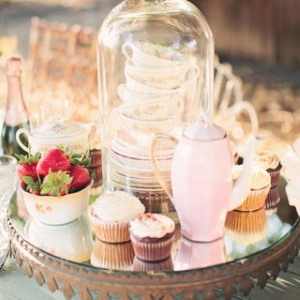 Love the vintage touches! Thank you for this lovely post! Tonya is my sister and of course I think she’s amazing! Thank you for recognizing her amazing talent! Love, love, love-it’s so darling! Thank you so much for the feature! Miguel and Michelle are the sweetest couple I have ever photographed. 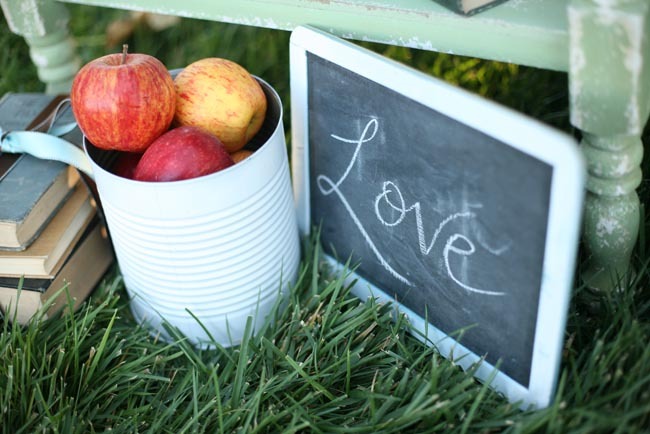 I am so in love with your blog! 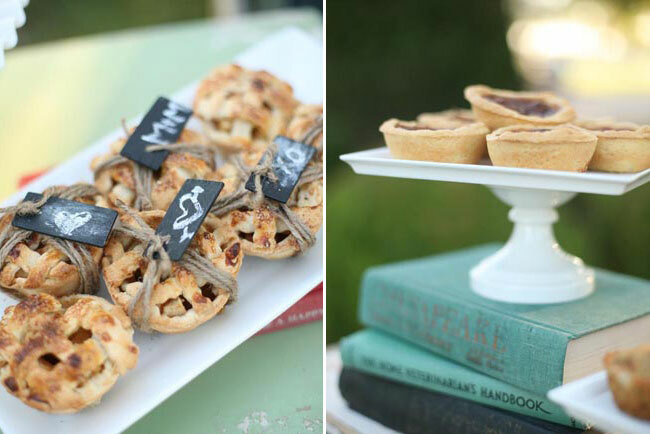 I’m crazy about those pies with the twine tied around them too!